I’ve worn it a TON and gotten a lot of compliments. 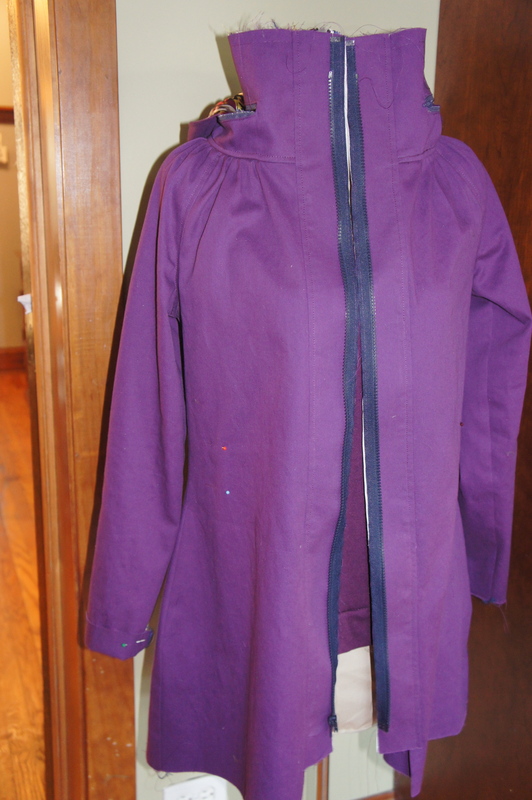 This fall, I’d like a heavier coat, something olive and anorak/ army-like – After scouring through my Burda magazines for an appropriate pattern, I decided to sew Minoru again. 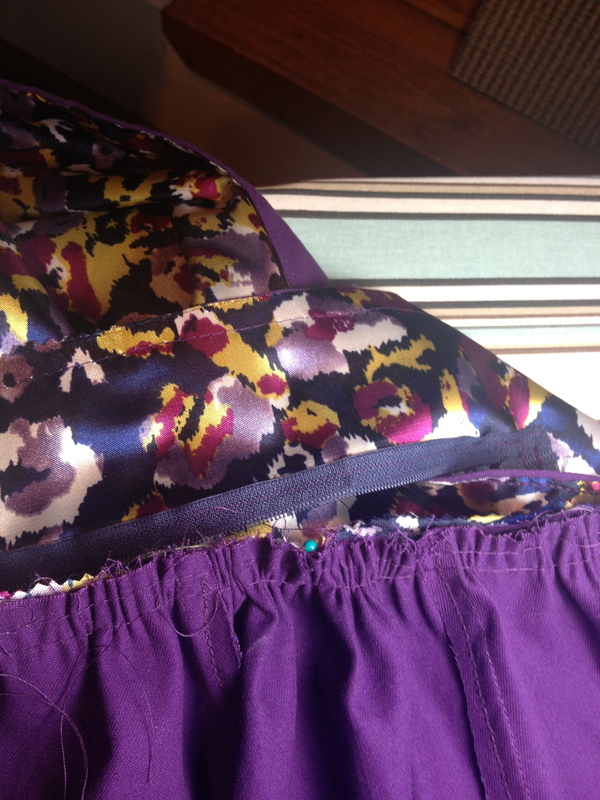 The fit of my first version is already worked out, so all I needed to do was find the fabric. I found some olive cotton ripstop on Etsy and made a quick trip to Vogue Fabrics for some olive flannel and lining. The flannel will be sandwiched between the ripstop and inner lining to make this coat heavier. 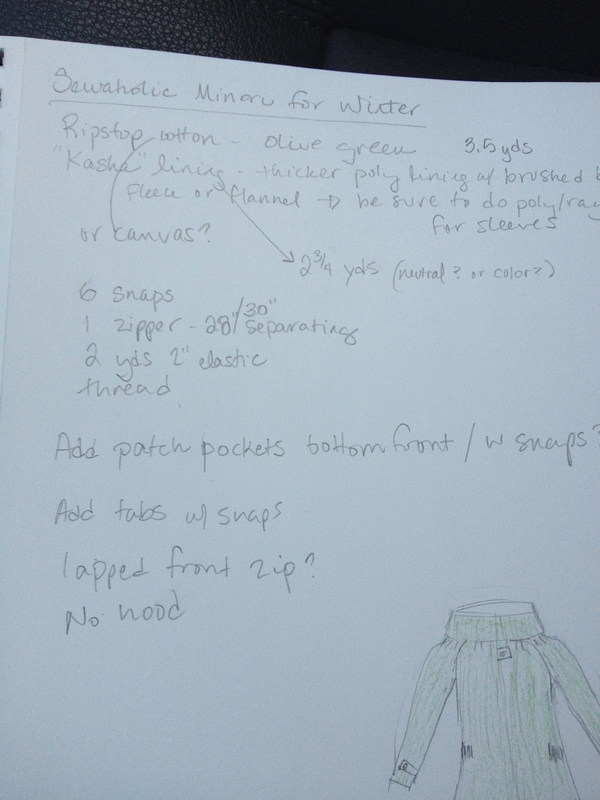 I am also planning to add patch pockets and some other details…. Here’s my notes & sketch below!